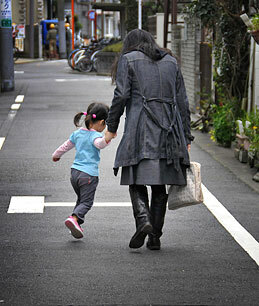 International Family Law: How Did Japan Become a Haven for Child Abductions? How Did Japan Become a Haven for Child Abductions? Like any loving father, Christopher Savoie just wanted to do the best thing for his two kids. In August 2009, his Japanese ex-wife broke U.S. law and abducted their children from his home in Tennessee, moving them to Japan. But when Savoie went to get them weeks later, he was arrested. It didn't matter that he had legal custody in both countries, that his ex-wife had violated a U.S. court order or that there was a U.S. warrant issued for her arrest. Nor did the fact that Savoie was a naturalized Japanese citizen and fluent in Japanese make a difference. After 18 days in jail, Savoie returned to the U.S. empty-handed and brokenhearted. A year and a half has passed since then, and he is still unable to see his son and daughter, now 10 and 8. Despite all this, Savoie's ex-wife is beyond the reach of international law. Japan has not signed the Hague Convention on the Prevention of Child Abduction, an international accord adopted by 84 nations that is aimed at returning abducted children to the country from which they were taken. Along with an increasing number of international marriages and divorces, child abductions to Japan — the only G-7 nation that has not signed the treaty — have been on the rise. In 2009, the U.S. State Department ranked Japan at the top of its list in reported abductions from the U.S. among non-signatory nations. "It is our understanding that no U.S. citizen child abducted to Japan has been returned to the United States," says Paul Fitzgerald, a U.S. embassy official in Tokyo. The issue could tarnish U.S.-Japan relations; as U.S. Assistant Secretary of State Kurt Campbell told reporters during a trip to Tokyo in February, "The situation has to be resolved in order to ensure that U.S.-Japan relations continue on such a positive course." Japan's antiquated family law complicates matters. In a Japanese divorce, child custody is awarded to only one parent — typically the mother. Visitation can be negotiated, but there is no legal enforcement, and agreements are often broken. In Japan, it's not unusual for the non-custodial parent to lose contact with his or her child, and domestic abductions, when they do occur, are often ignored by the police as a family matter. It's a devastating scenario for a growing number of fathers residing in Japan — both Japanese and foreign — who have few legal rights to see their children. "Clearly, the best legal scenario is for the children to be here in the U.S. where each parent would be guaranteed visitation," writes Savoie by e-mail. International pressure for Japan to make a change has been mounting. Over the past year, several ambassadors from embassies in Tokyo have met with high-level government officials to urge Japan to sign the treaty. A Japanese government panel was set up in January to study the pros and cons, but opposition remains firm at most levels. Japanese lawmakers are worried the Hague Convention does not properly take into account past cases of domestic abuse or a child's own right to choose where he or she lives. On Feb. 22, a Bar Association issued recommendations to the Japanese government, including a guarantee in domestic law that children not be returned to their country of residence if they were subjected to abuse or violence. Left-behind parents, including Savoie, say the recommendations are draconian and anti–joint custody, in part because abuse is both difficult to prove and commonly cited as one of the main reasons for abduction. A Japanese woman, who uses the alias Keiko, says she left the U.S. with her child because she discovered her husband was abusing their son. "There were no obvious physical marks, so it would have been impossible to prove in court," Keiko explains tearfully. After consulting a therapist and an attorney in the U.S., she feared that getting sole custody as a Japanese citizen would be nearly impossible. "When we were in Japan, my son told me he feels safe, far away from his father ... I didn't really want to leave the U.S. I had a good job and many friends. But I wanted to do what was best for my son." Keiko is now one of about 50 members of the Safety Network for Guardians and Children, a support group for women who abducted their children to Japan from various countries. Finding a internationally recognized legal resolution to cases like Keiko's will not be easy. But in the meantime, Japanese mothers living abroad who have no intention of removing their children from their families are beginning to be affected by the problem. Jeremy Morley, a U.S. attorney specializing in Japanese child abductions, says foreign courts are "increasingly ordering Japanese mothers living overseas not to take their children to Japan even for a family visit because of Japan's status as a renowned haven for international child abduction." A winning diplomatic strategy will need teeth to make a difference for everyone involved. "The mantra now is 'Japan sign the Hague,' but that's not enough," U.S. Representative Chris Smith said during a recent trip to Tokyo. The New Jersey Republican, who chairs a subcommittee overseeing human-rights issues, is pushing for a bill that would establish an Office of International Child Abductions within the U.S. State Department to handle cases and discuss sanctions against uncooperative nations. "I don't know what the answer is," says Keiko. "But we need to find a solution that's in the best interest of the child."